I have been using this gun for two years now and it has been very reliable.Not to mention i have $150 worth of after market parts on it. Airsoft Aftermath AK47 Gun Wow! Holy moly! Now THAT'S a TOTAL BEAUTY!!! 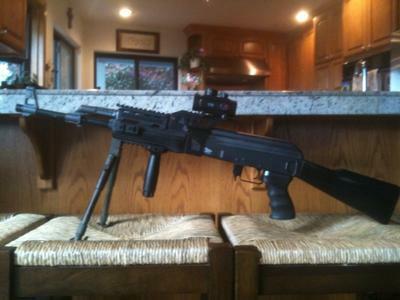 Love your airsoft gun picture and would love to know more about your customizations, and what you use it for the most!